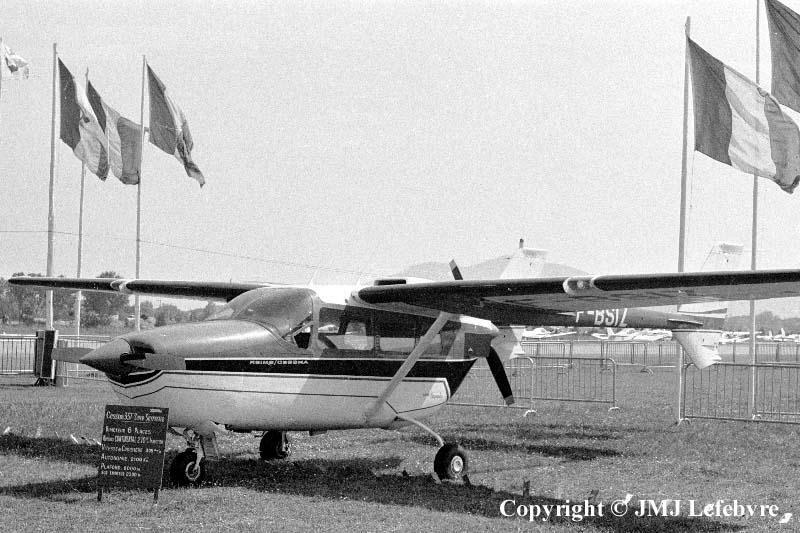 The Reims-Cessna Super Skymaster was first flown as Model 336 Skymaster by Cesna in USA on February 28, 1961 and 195 of them were built before appearance on the market of Model 337 Super Skymaster during 1963 with a retractable U/C.. I continue with the Dornier 335 of which Cessna engineers surely had an eye on post-war technical and test reports when they lengthy studied the CLT concept, otherly said the center line thrust accomodation of engines to prevent the always desagreable if not dangerous situation of assymetric flight on medium twin-engined aircraft in case of failure of an engine. Hazard or paranormal phenomenon, Pierre Clostermann the Chairman of Reims Aviation Company also was the French top fighter pilot who totalled some 33 victories with various Spitfire Mks, Typhoon and Tempest. In his " Le Grand Cirque " book, he evocates a short and distant encounter with what he identified as a Dornier Do 335, this in Center Germany, near a lake not very far from the Rechlin Luftwaffe Test Center if my rememberings are good. Success of the Cessna plane was a great one, as far I know some more than 1300 337s, civil or military as O-2s, were built. You could read on the plate " Cessna 337 Super Skymaster, six-seater twin-engined A/C, 2 Continental engines with direct fuel injection of 210 hp each, cruising speed of 305 km/h, range 2100 km, ceiling 6000 m and 2300 m with a single engine"... as if you were at the Cannes Air Show during May 1972!! !